From time to time, great movies result from blatantly xenophobic policies. Beginning in 1970, James Schwarzenbach launched a couple of policy proposals to prevent the alleged foreign infiltration of Switzerland by restricting the share of immigrants in Swiss cantons to a maximum of ten percent. 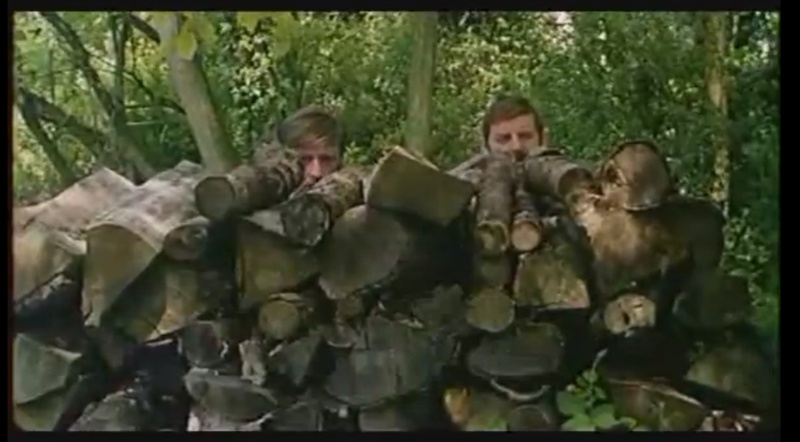 In response to these initiatives, the movie “The Swissmakers” (original title: “Die Schweizermacher” (1978), available with English subtitles) provided a satirical portrait of two policemen of the Swiss naturalization agency who have to prepare recommendations on immigrants’ naturalization requests. To that end, the two policemen visit applicants at home, talk to their neighbors about when they hang up their clothes on the balcony for drying, and engage in general surveillance to find out about their level of integration (or assimilation, as the instructor of the two policemen calls it in the fantastic opening scene) into the seemingly bourgeois Swiss society. Unsurprisingly, most applicants act strategically and become overly motivated to demonstrate their Swissness. A German couple even flies the Swiss flag every morning. “The Swissmakers” became the most successful Swiss movie of all times. Naturalization agents at work in “The Swissmakers”: Moritz Fischer (Emil Steinberger) and Max Bodmer (Walo Lüönd) observing a German couple flying the flag on Sunday at 10.15am. Although flying the Swiss flag does not plausibly constitute a key determinant of becoming a Swiss citizen, naturalization decisions in Switzerland have generated extremely valuable behavioral data on anti-immigrant preferences: Until 2003, some Swiss municipalities used referenda with closed ballots to decide each naturalization request. First, all eligible voters of the municipality received a written summary of pending naturalization requests that included detailed personal information about the applicants. Second, citizens voted over each request and those applicants which received a majority of “yes” votes were naturalized. In a recent paper, Jens Hainmueller (MIT) and Dominik Hangartner (LSE) analyze data on all 2’400 naturalization requests recorded from 1970 to 2003. This presents a unique opportunity to learn about whether and how applicant characteristics affected their chance of being naturalized and greatly improves on a large literature on preferences over immigration in political science and sociology, where researchers have mostly relied on survey data that is prone to social desirability bias. According to the results, an applicant’s country of origin is the most powerful predictor of naturalization success. Applicants from former Yugoslavia and Turkey have a 40 percent higher risk of rejection than other observably similar applicants from rich European countries, for example, the Netherlands or Great Britain. Swiss voters also tend to prefer applicants with higher levels of education and occupational skill, although these effects are negligibly small. Based on the empirical estimates, an applicant from Turkey would, for example, require no less than 70 years of additional education to reach the same probability of being naturalized as another applicant from a European country who shares all other observable characteristics. Interestingly, linguistic integration is largely irrelevant for an applicant’s probability of success: Even requests in which the applicants’ language skills are described as perfectly fluent have no higher chance of being accepted. The paper also presents evidence on which mechanisms (mainly statistical and taste-based discrimination) drive these results. For example, the country-of-origin disadvantage is most pronounced in municipalities in which citizens generally dislike immigrants as measured by the “yes” votes in the most recent anti-immigration referenda. Discrimination against Turkish and Yugoslavian applicants also increases in response to rapid surges of these groups in the 1990s while the country-of-origin disadvantage declines as the relative size of this group decreases. Compared with these factors, applicants’ factual level of education and integration seem to matter very little. Overall, the main result of the paper seems to bear some resemblance with both the widespread perception of Yugoslavians being even less popular in Switzerland than Germans and the ending of “The Swissmakers”. Here, the Italian worker and the German couple get naturalized, while the senior police officer of the naturalization agency recommends rejecting the naturalization request by the female ballet dancer from Yugoslavia. She forestalls the rejection by withdrawing her application prior to the final decision to take up an offer to work in the Netherlands. Although the ballet dancer does not succeed in getting a Swiss passport, she does succeed in getting the junior policeman (played by the famous Swiss comedian Emil Steinberger), who falls in love with her and decides to leave the naturalization agency.